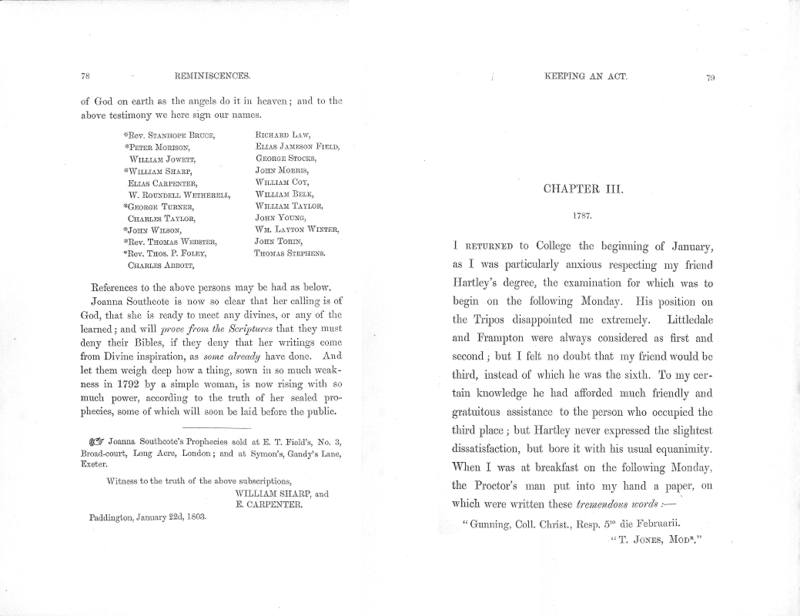 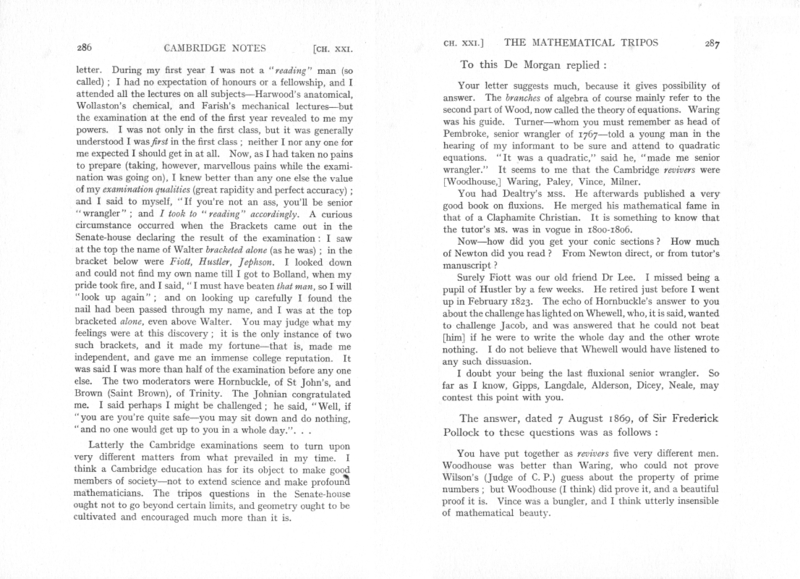 renamed Cambridge Notes, chiefly concerning Trinity College and the University. 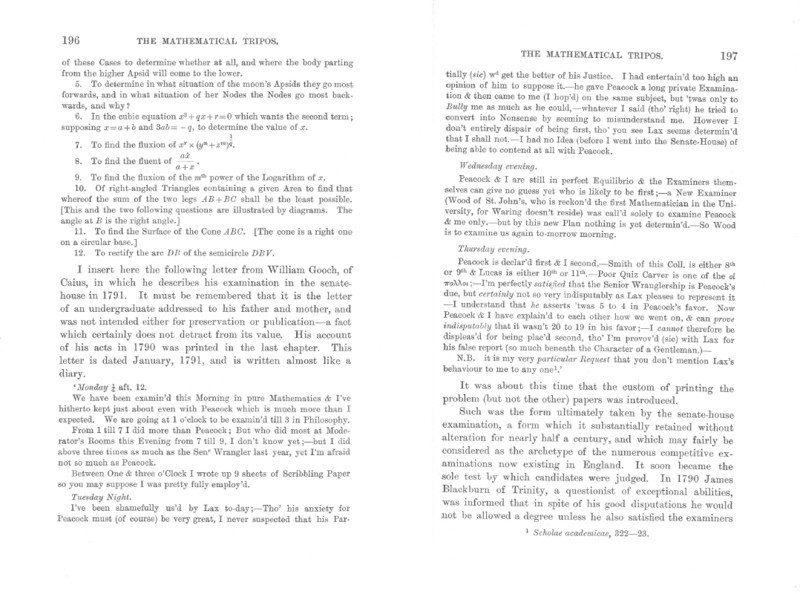 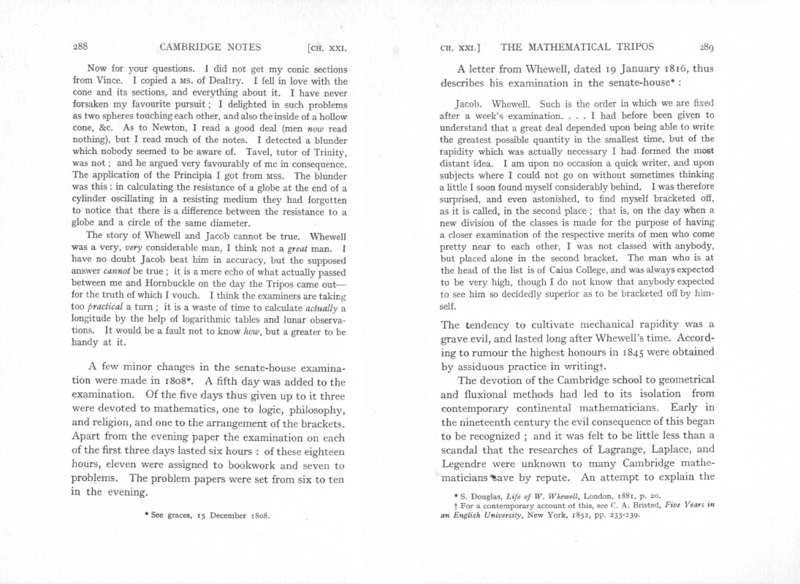 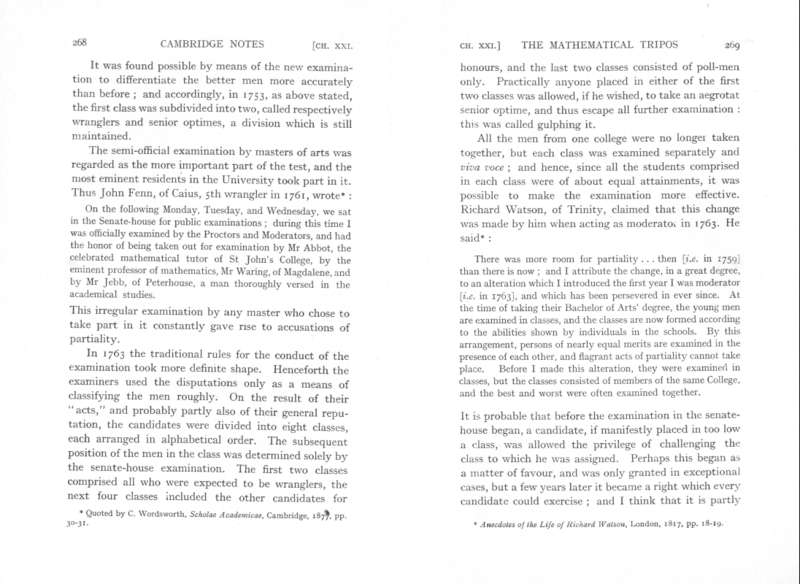 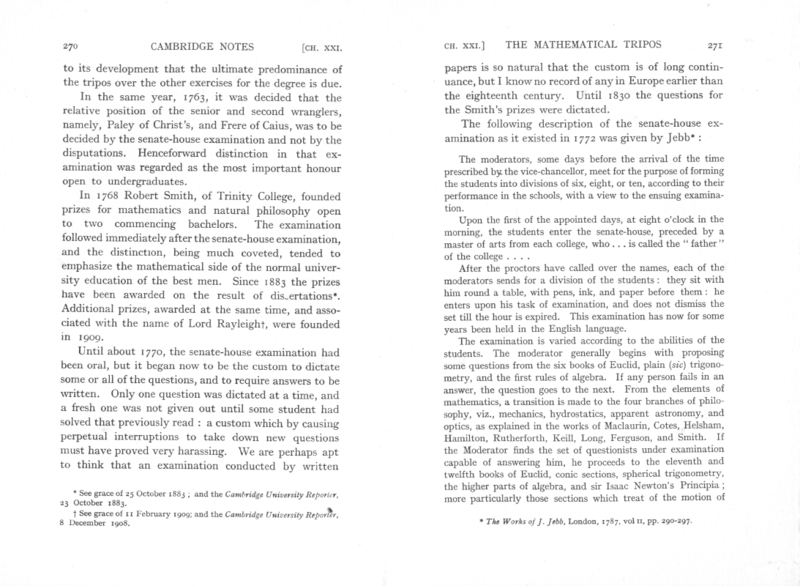 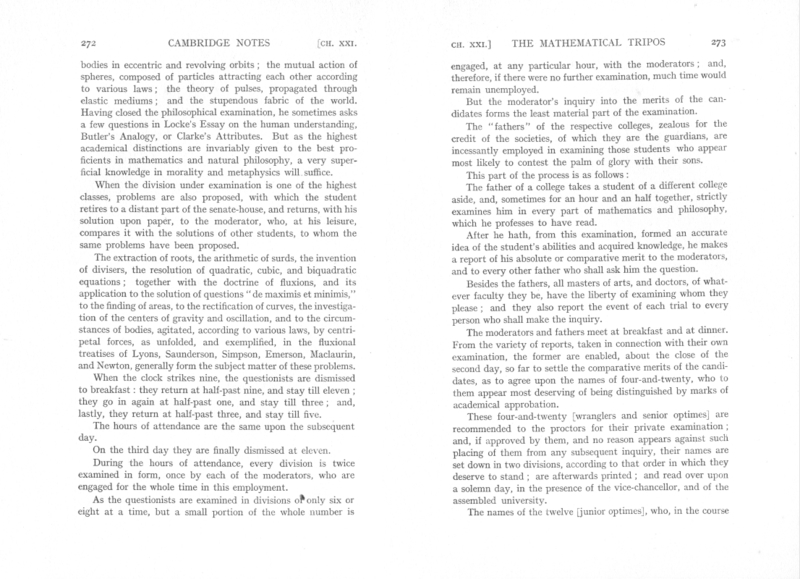 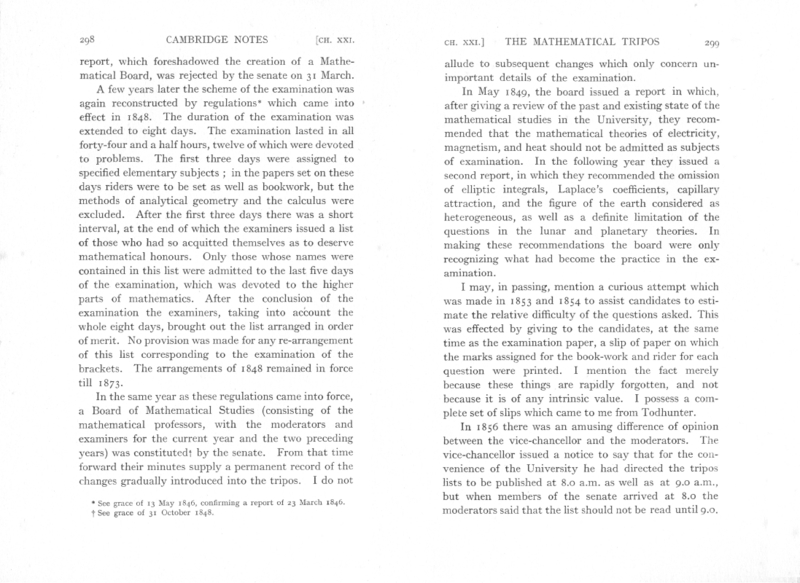 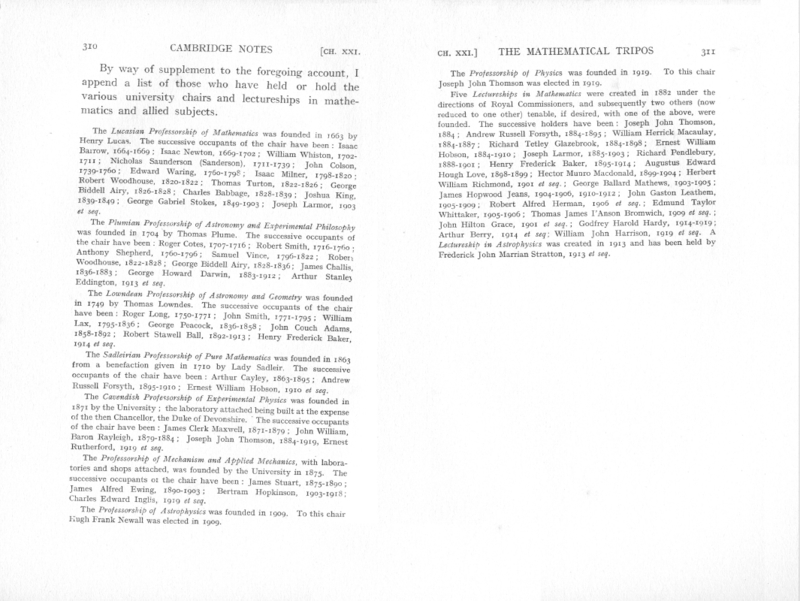 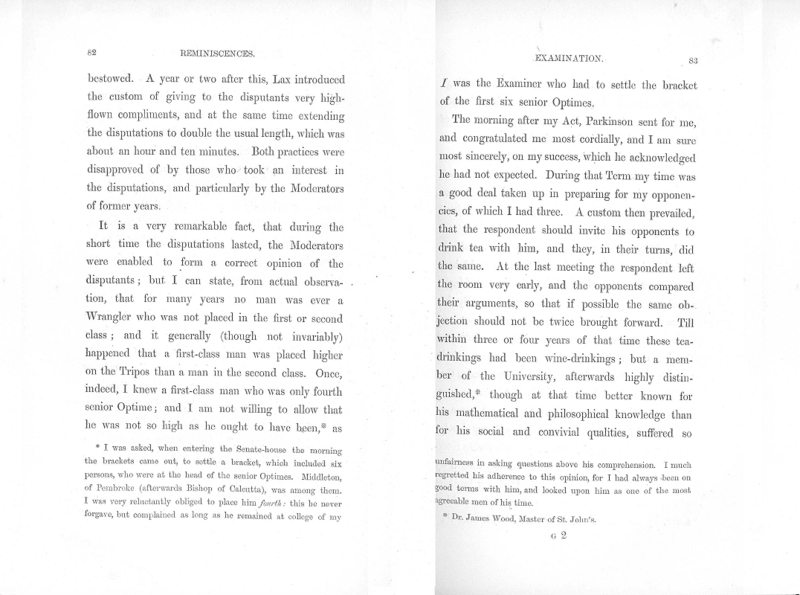 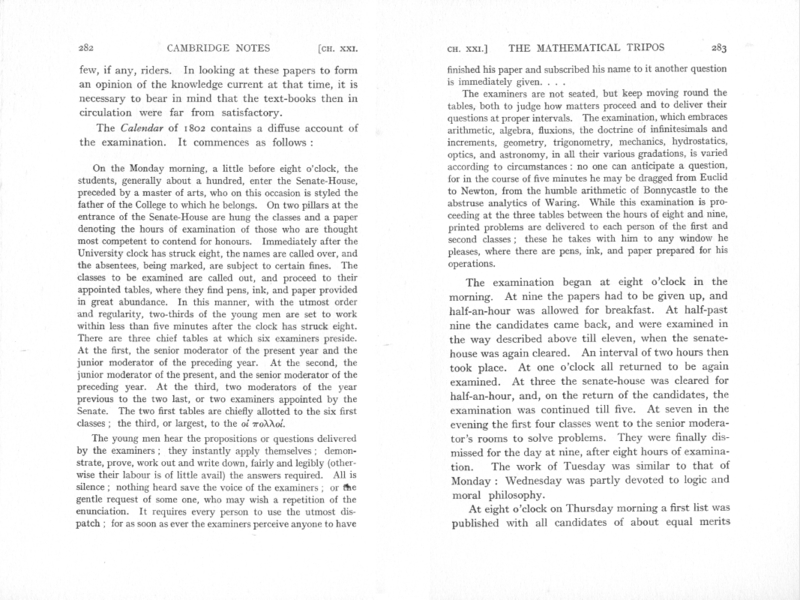 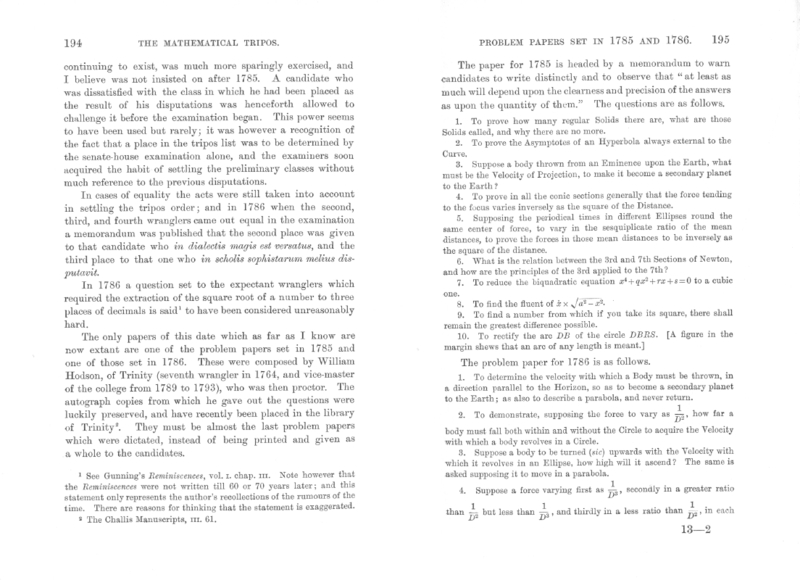 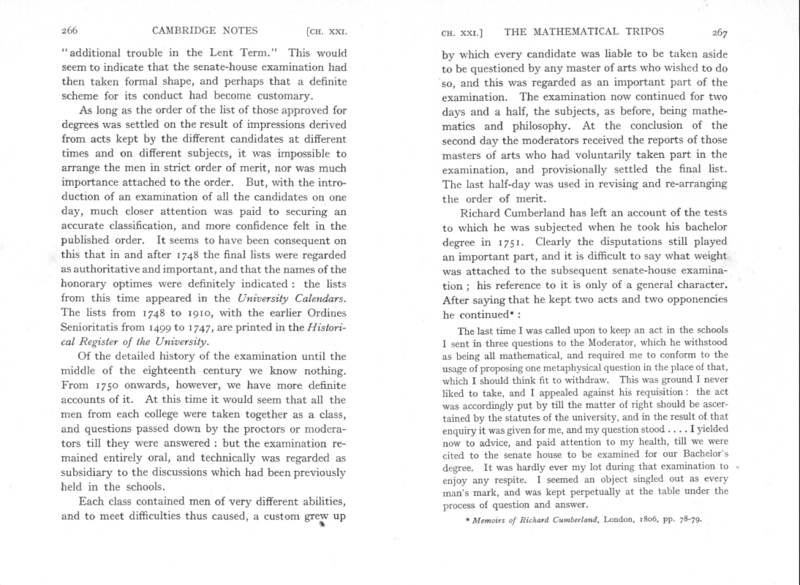 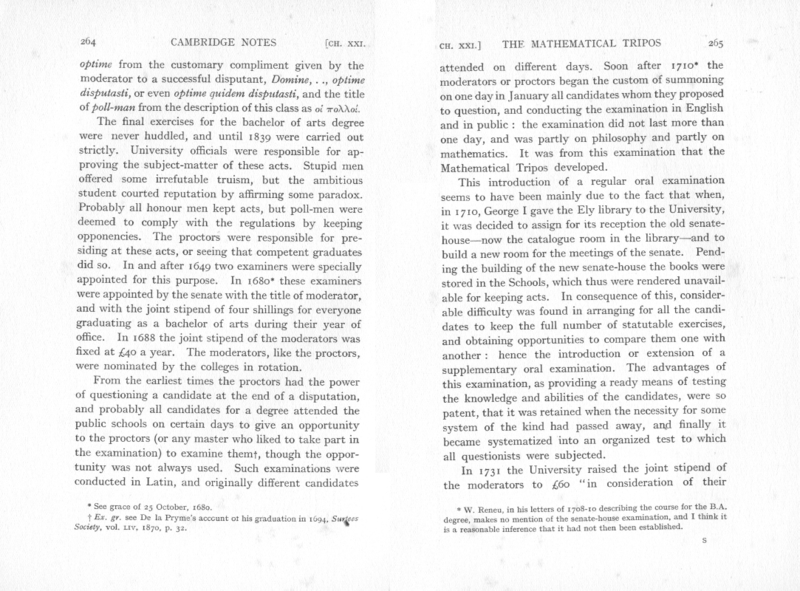 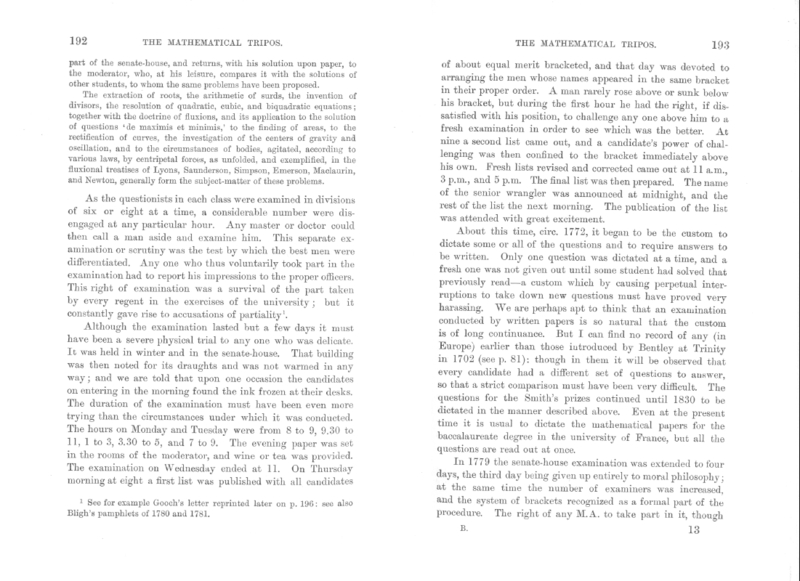 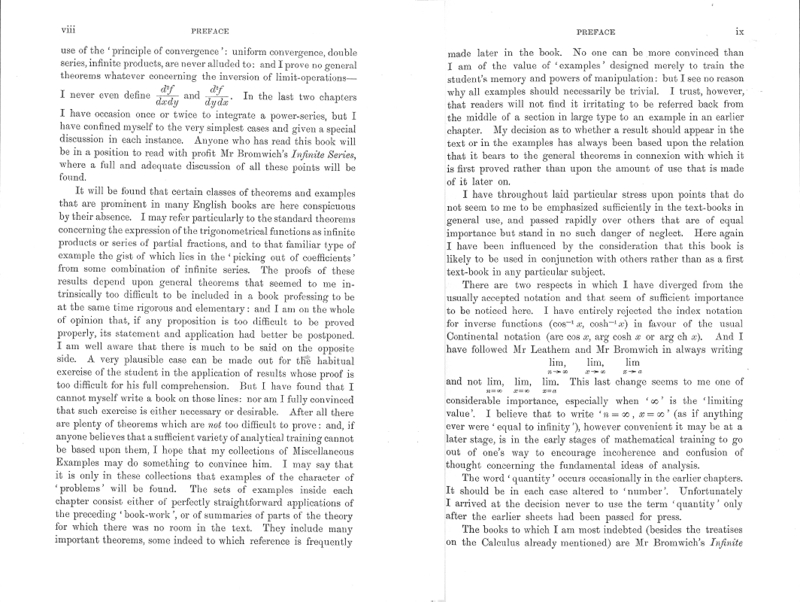 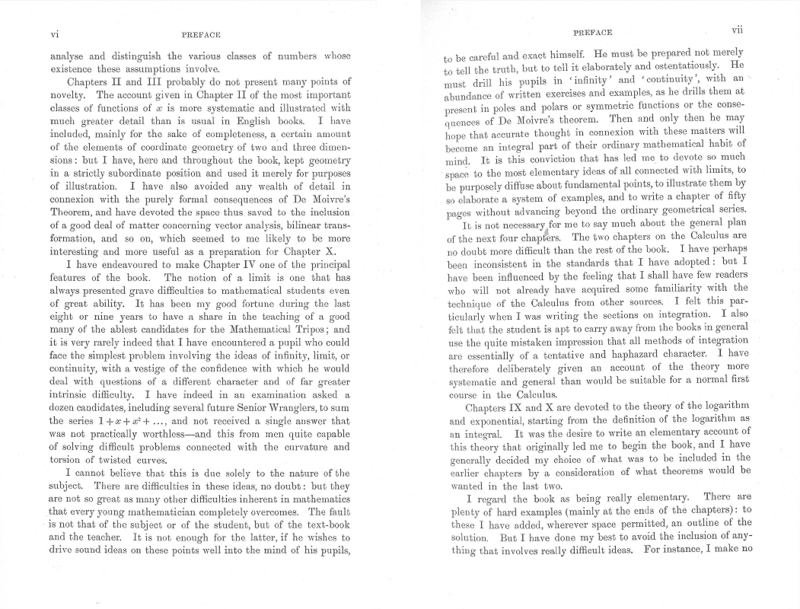 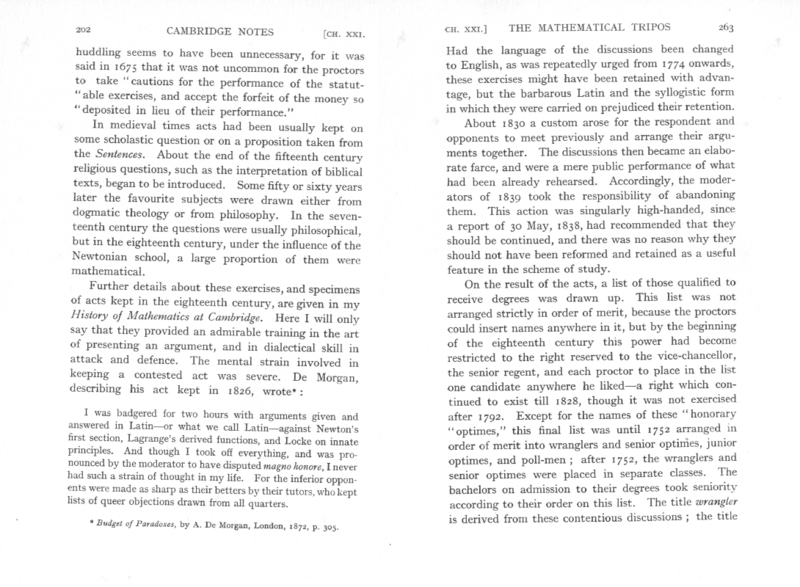 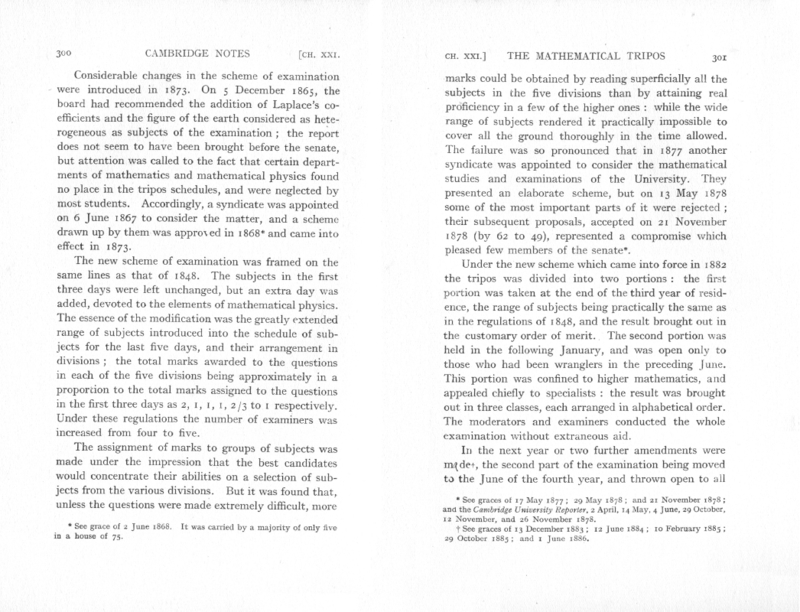 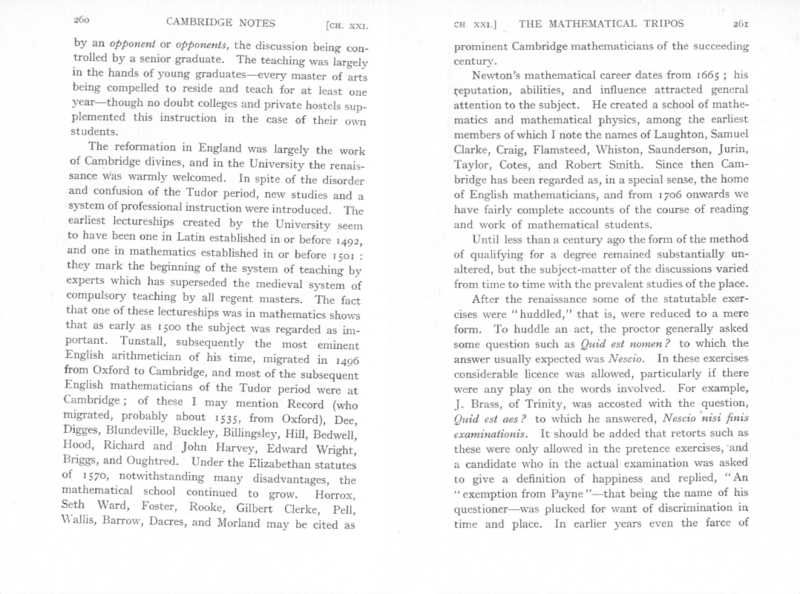 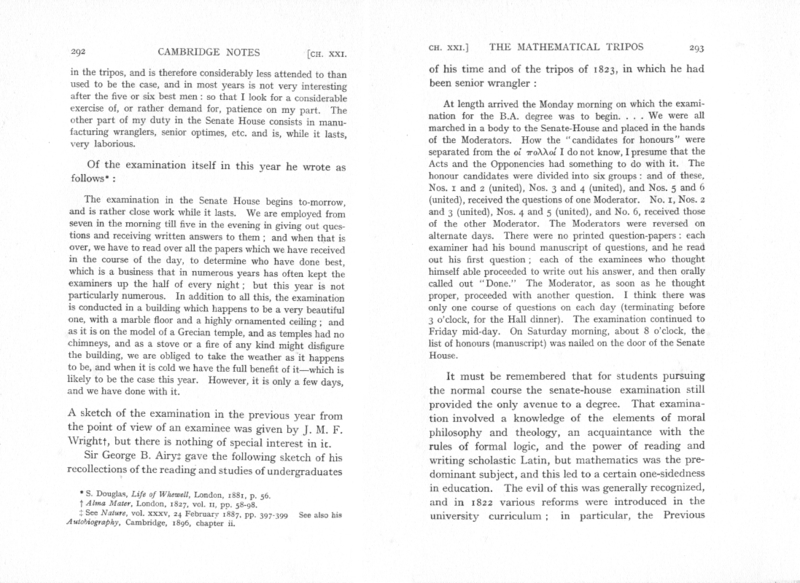 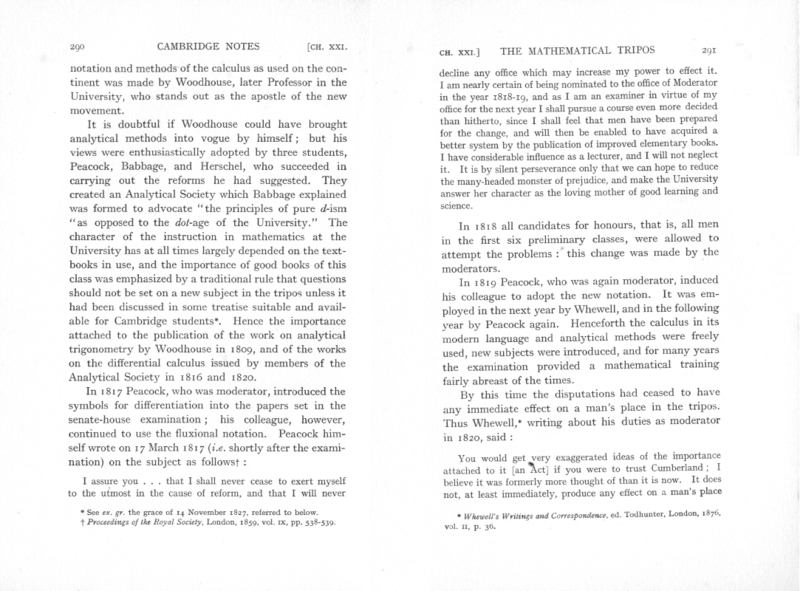 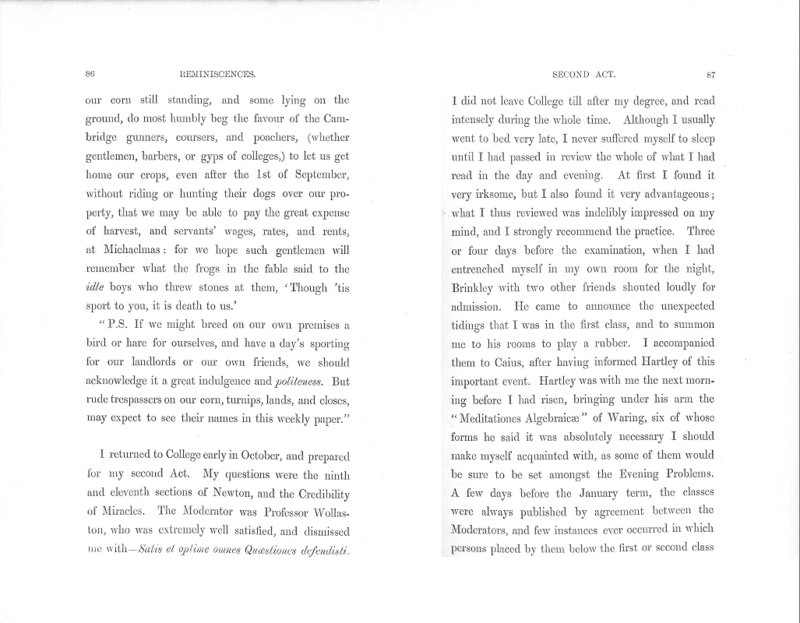 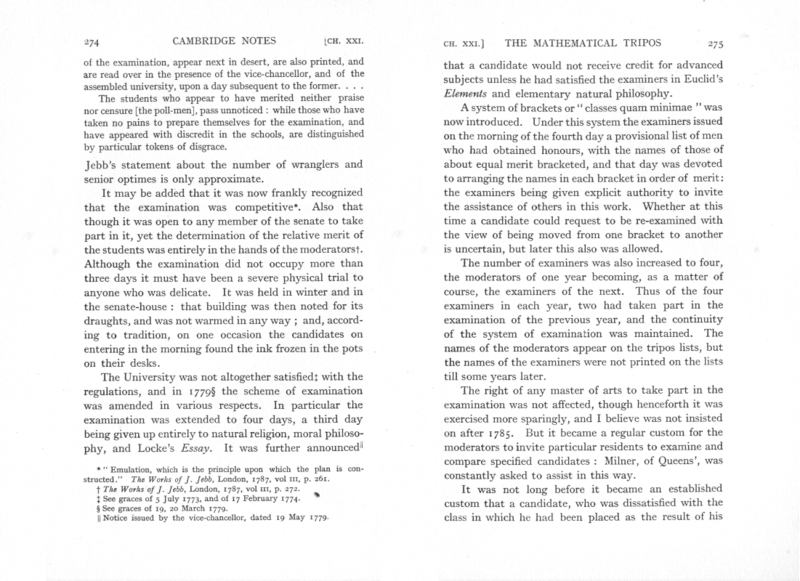 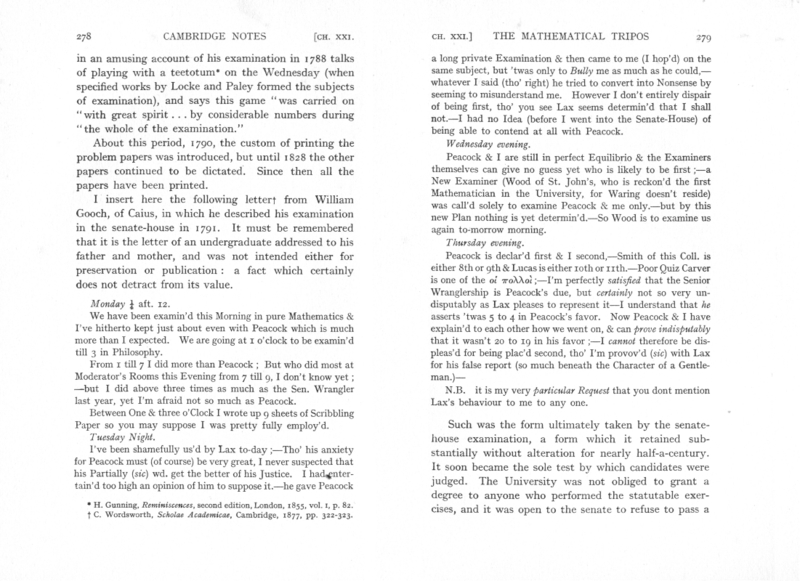 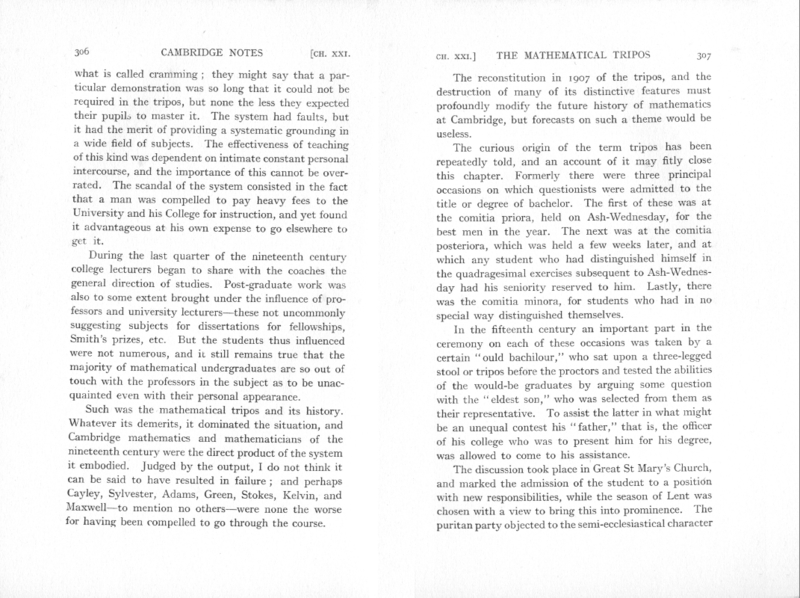 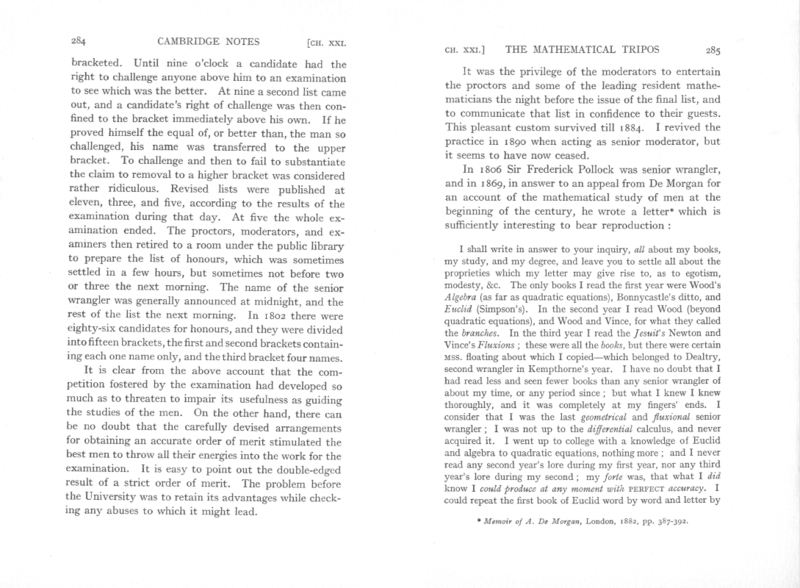 It contains the questions set in two Problem Papers from the Triposes of 1785 and 1786.
many points of detail from the later version in Cambridge Notes. 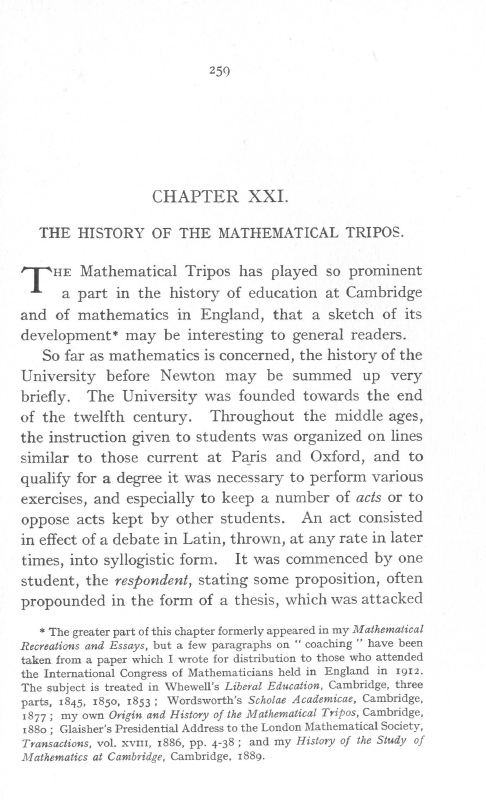 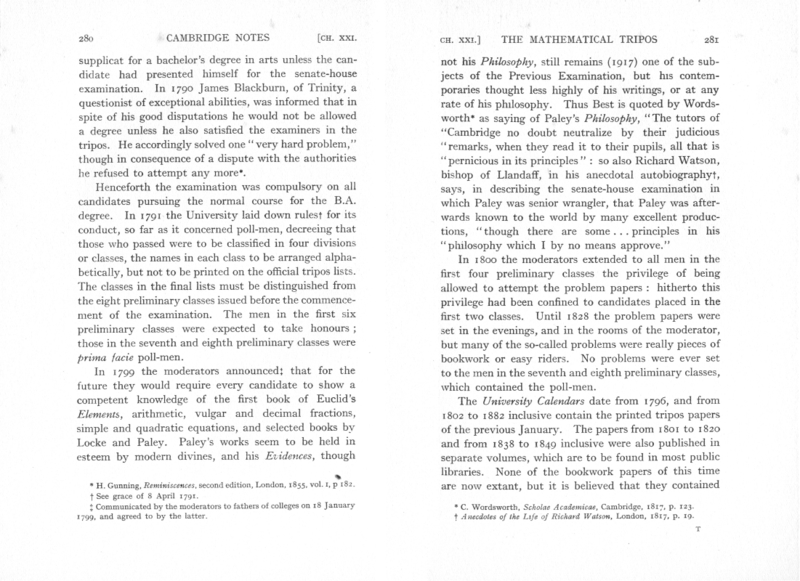 In particular, at pp.200- 209 it reproduces papers set in the Tripos of 1802.
after the bracket was resolved but this does not correspond with Gunning's own account given here, which apparently has him 5th). 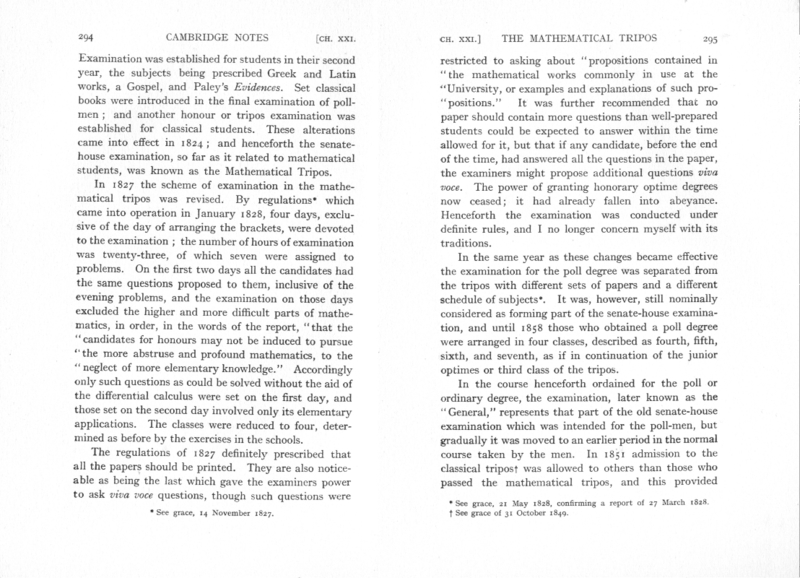 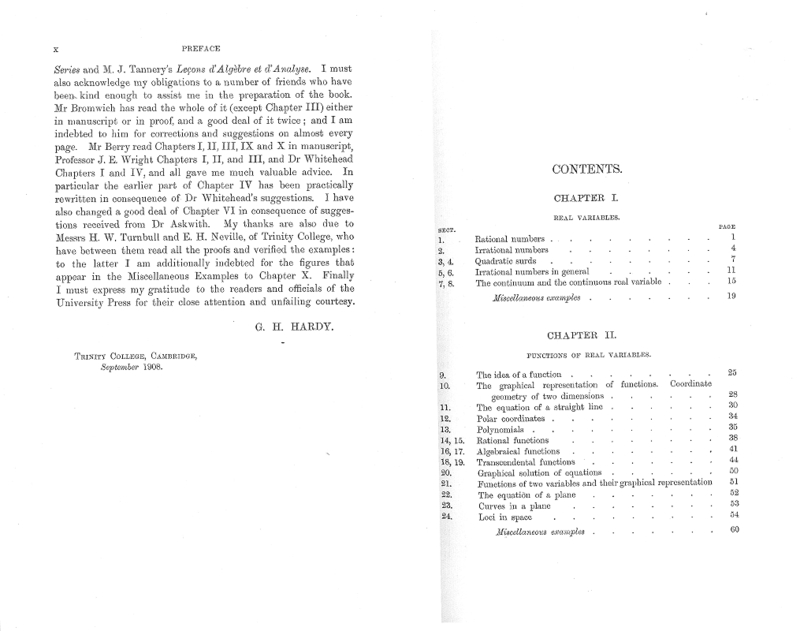 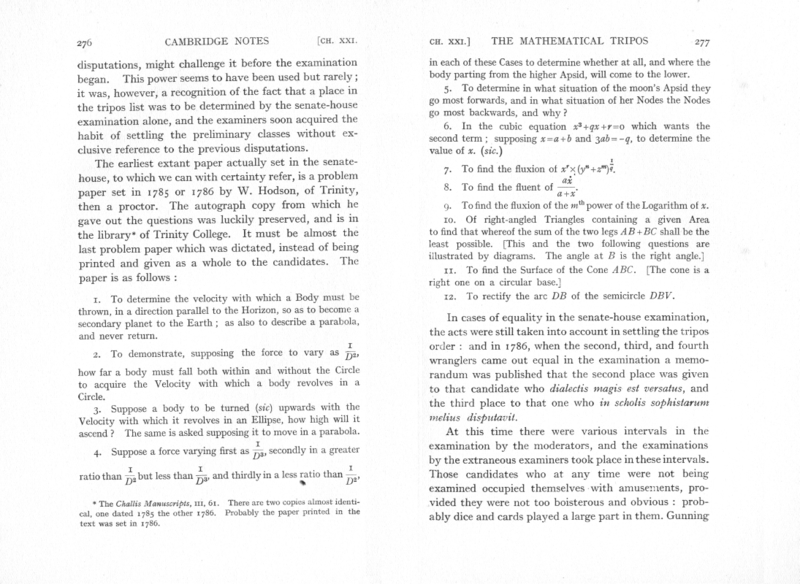 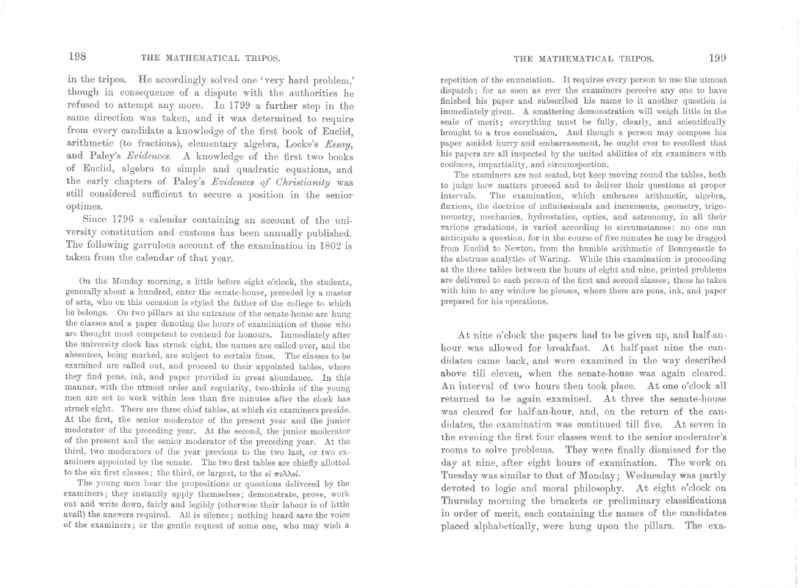 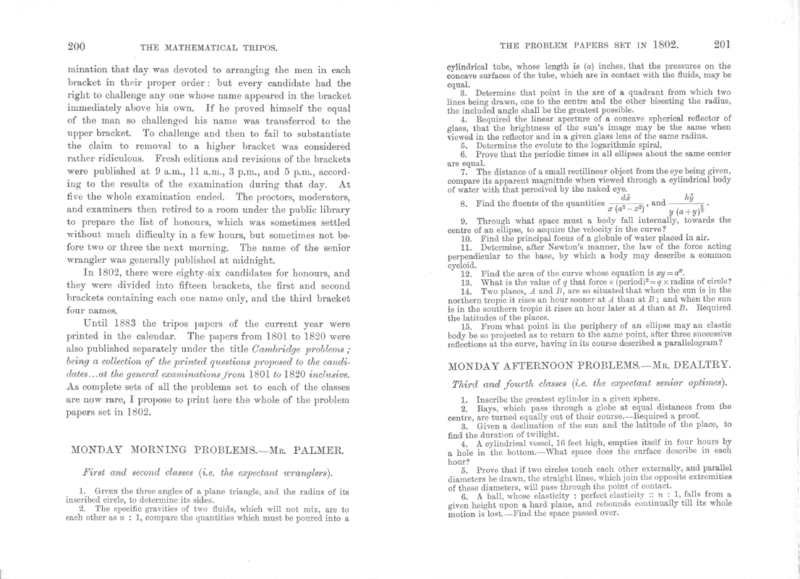 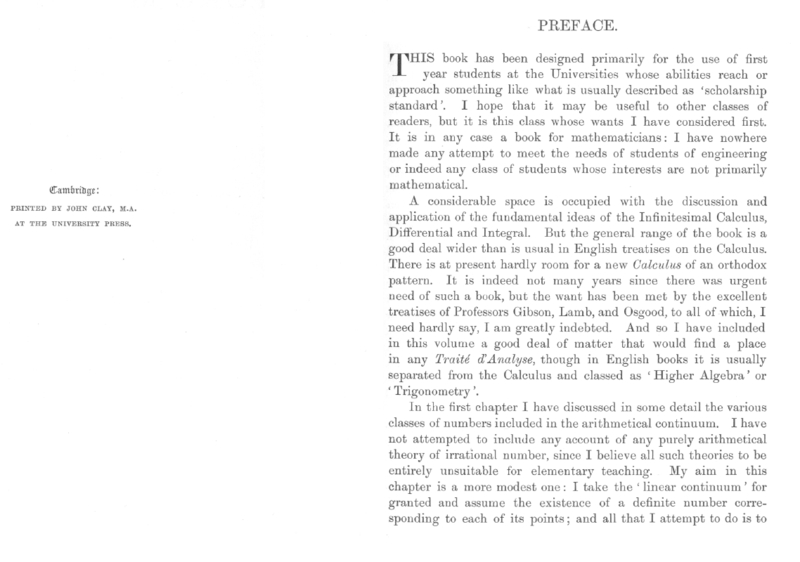 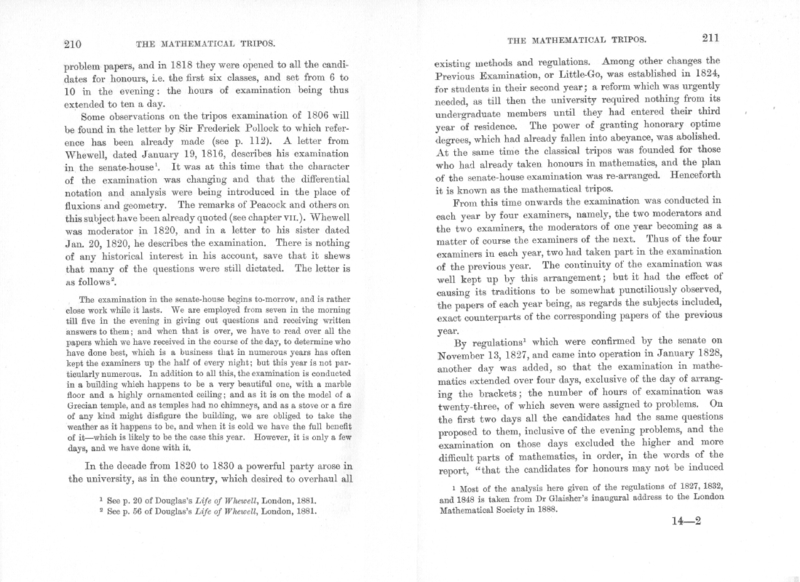 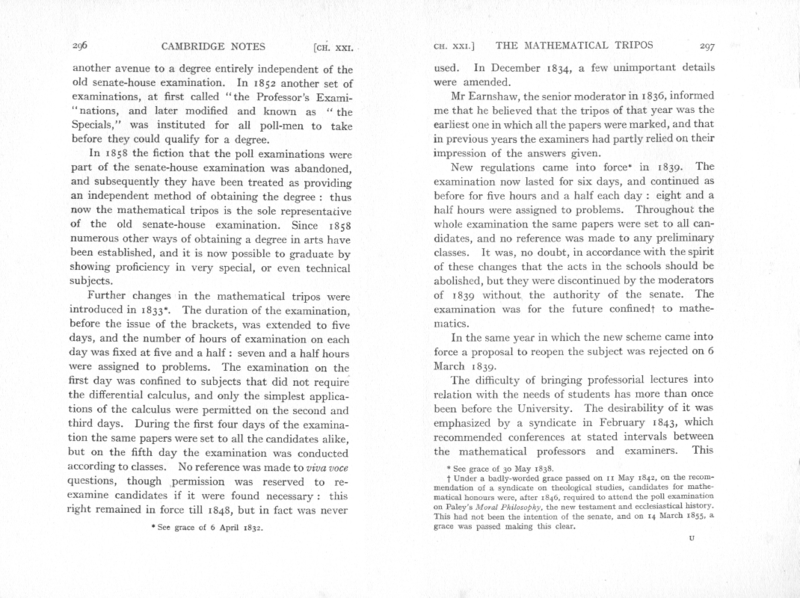 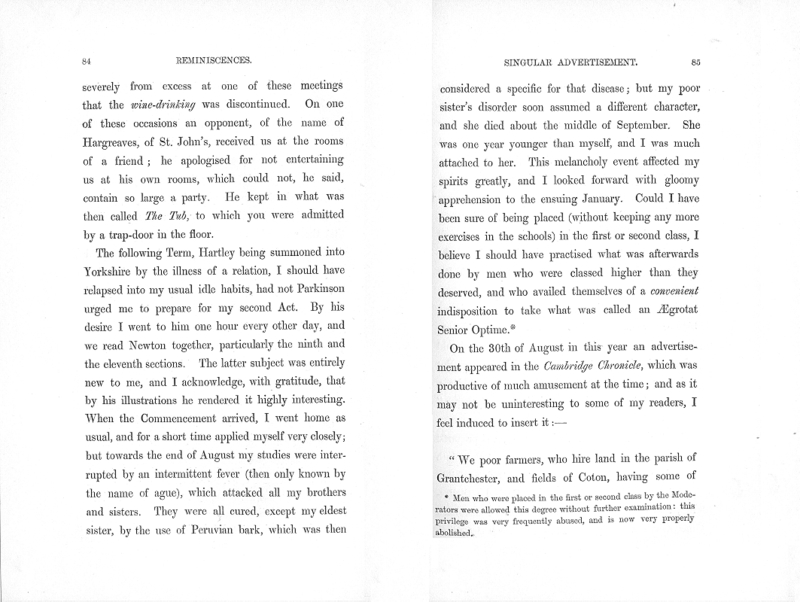 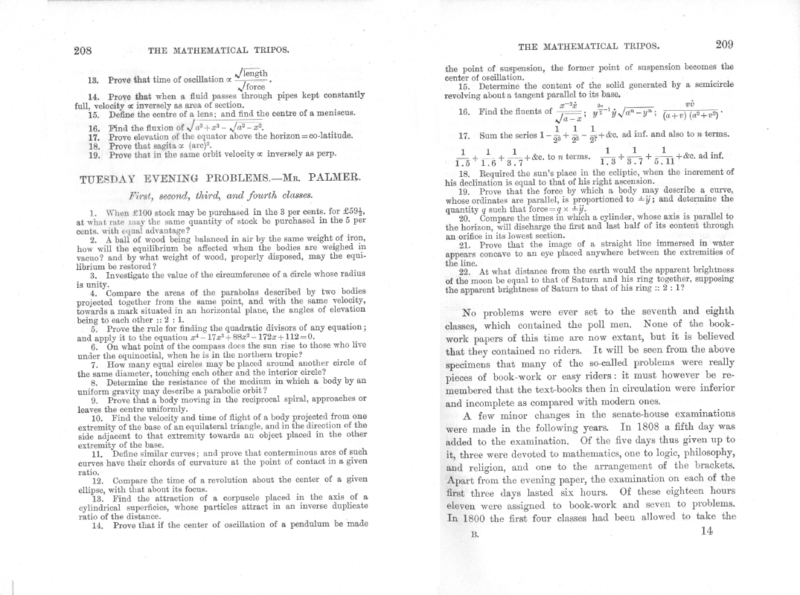 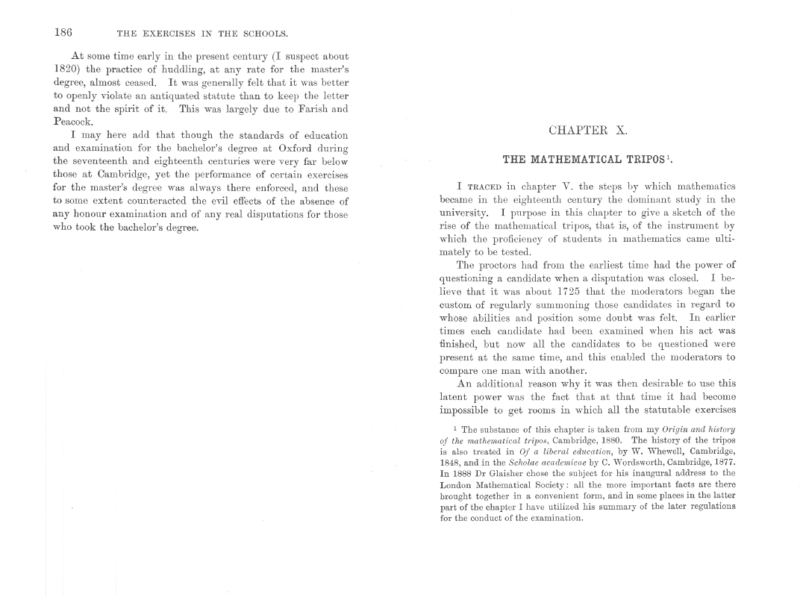 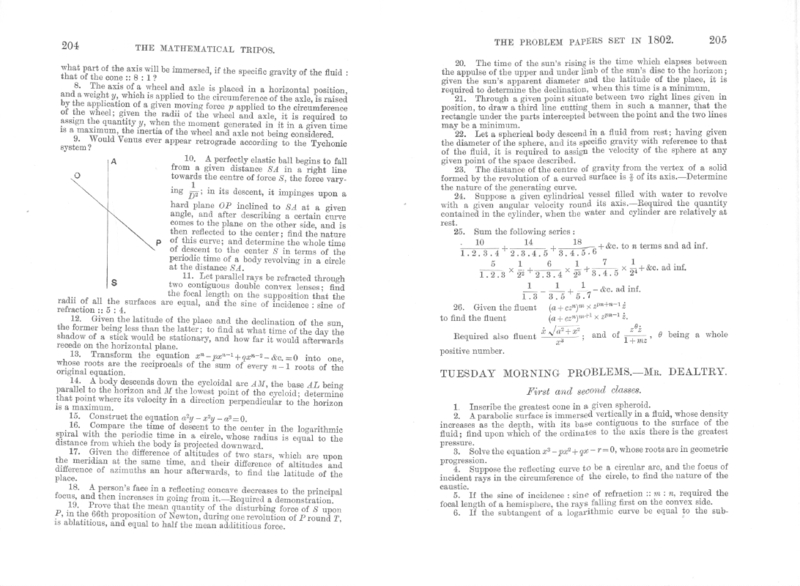 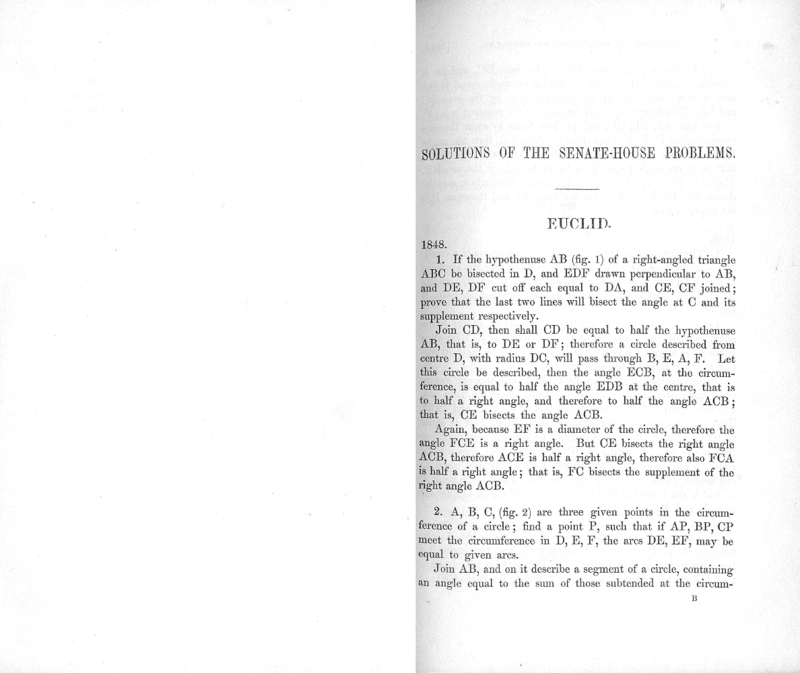 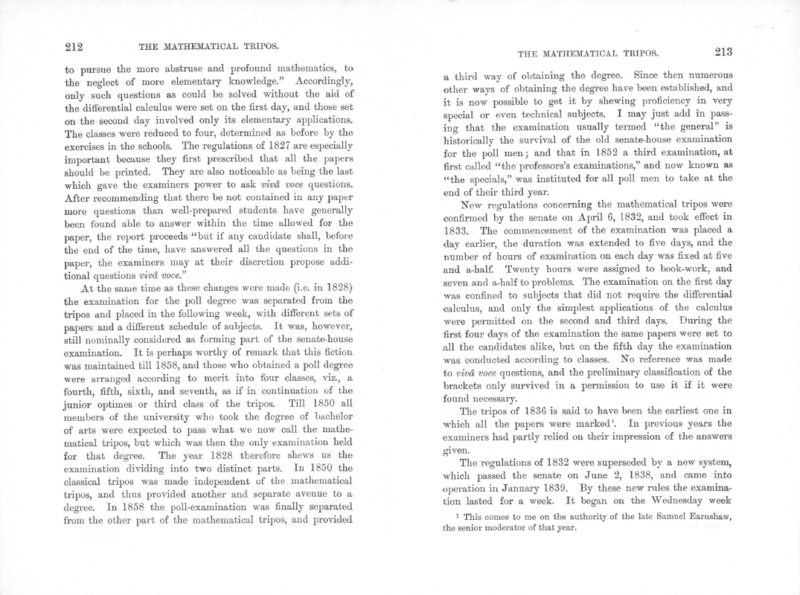 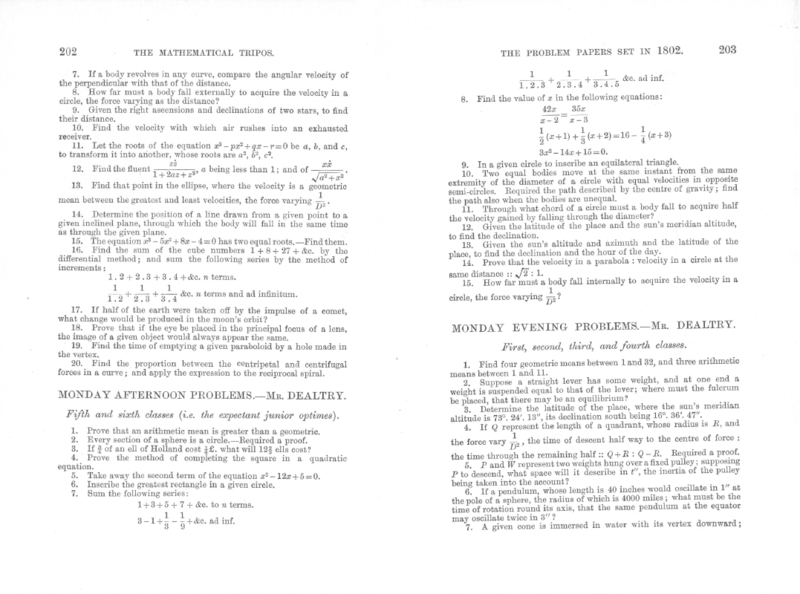 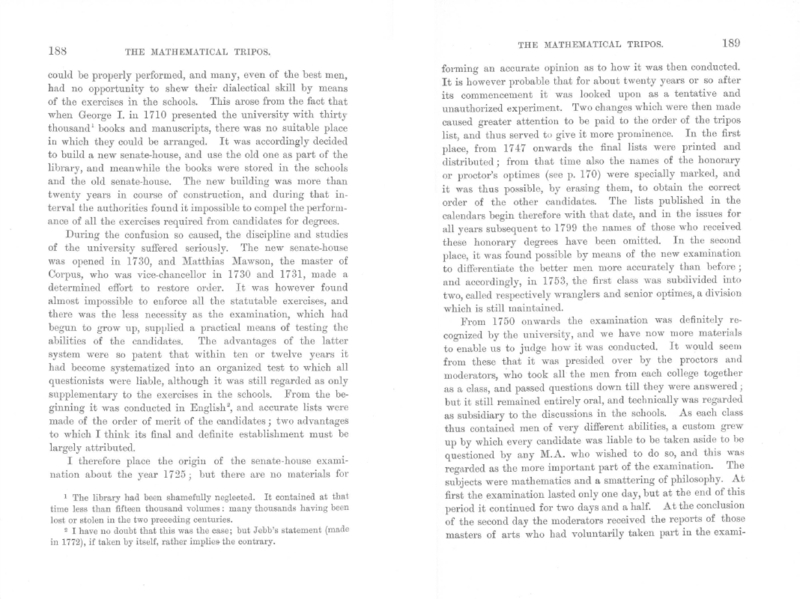 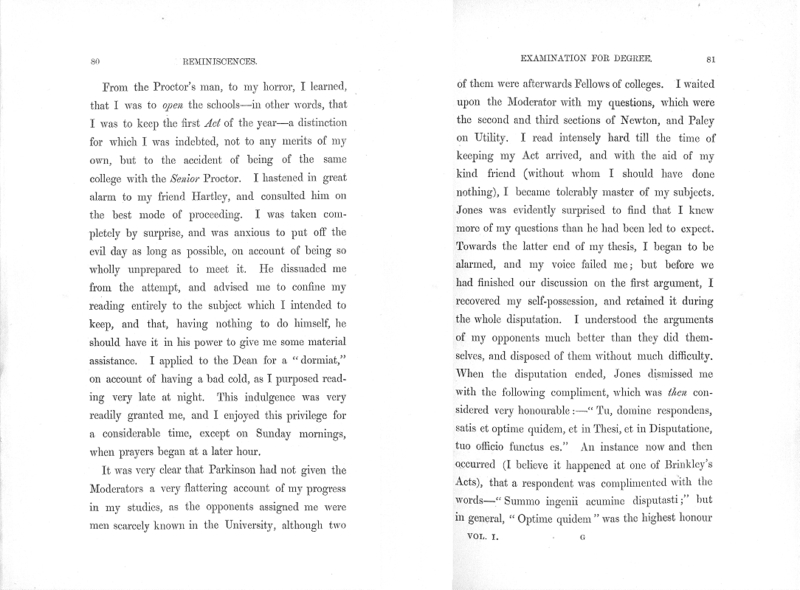 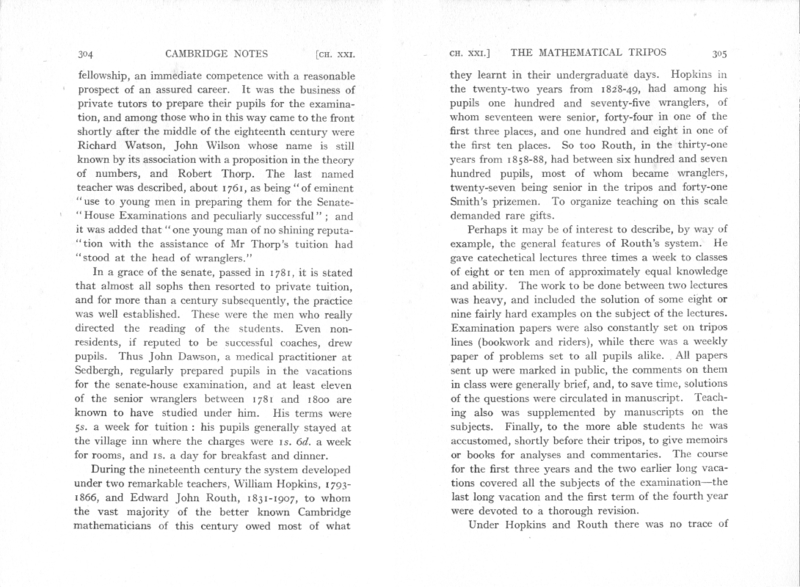 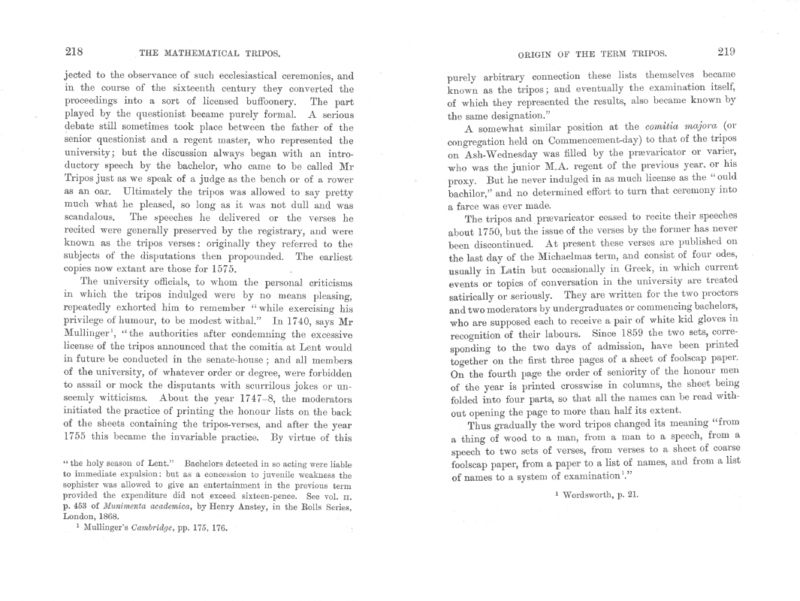 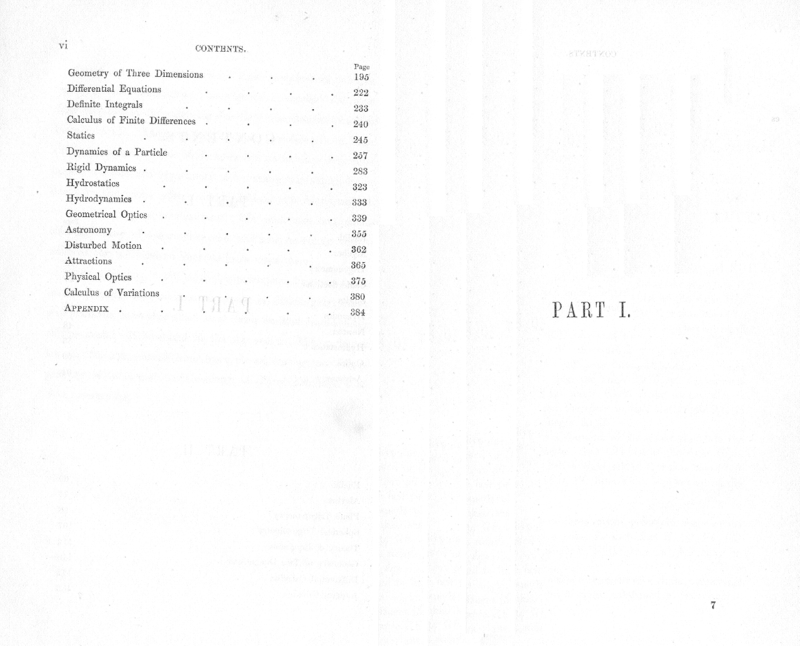 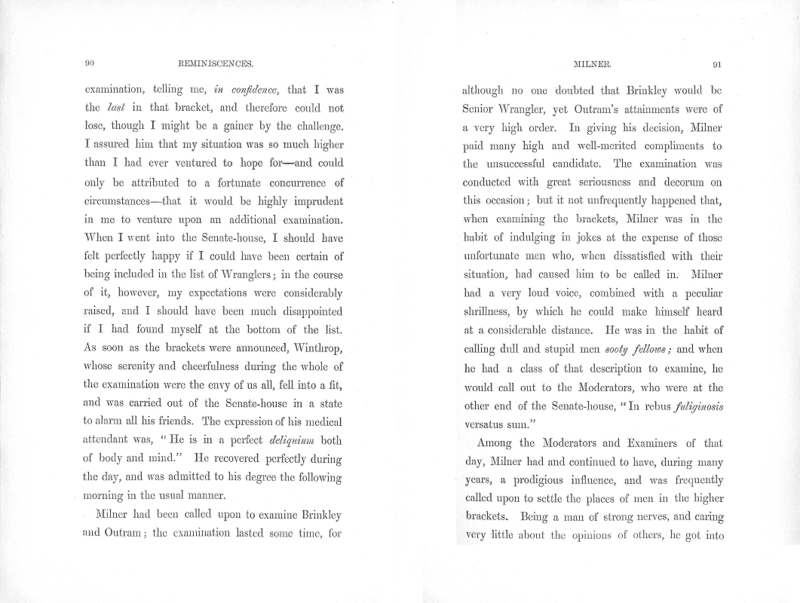 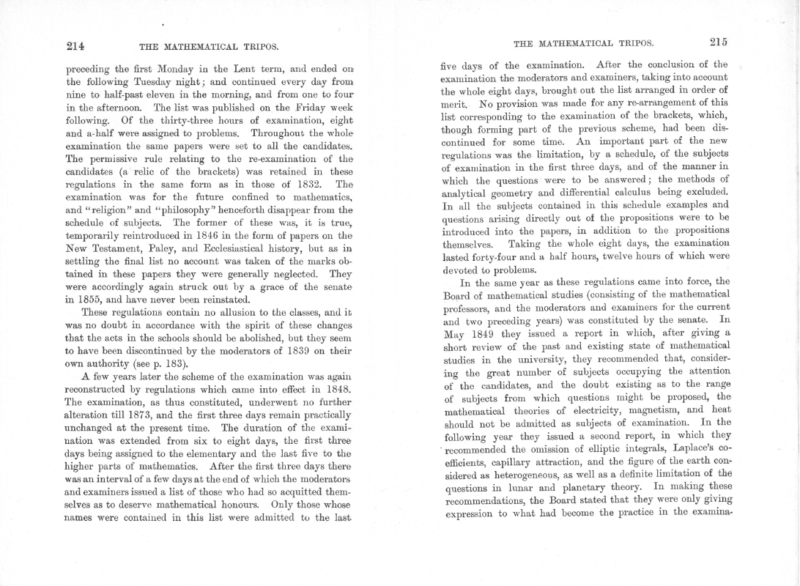 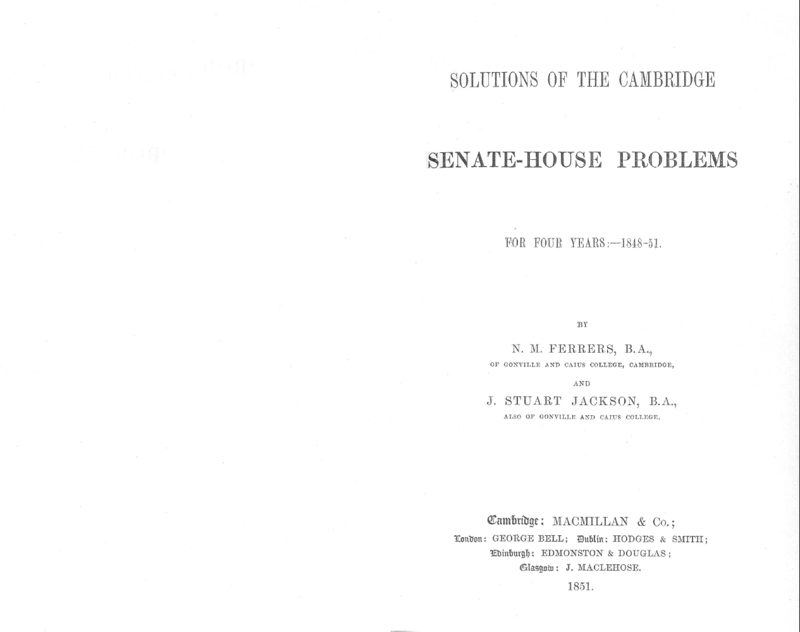 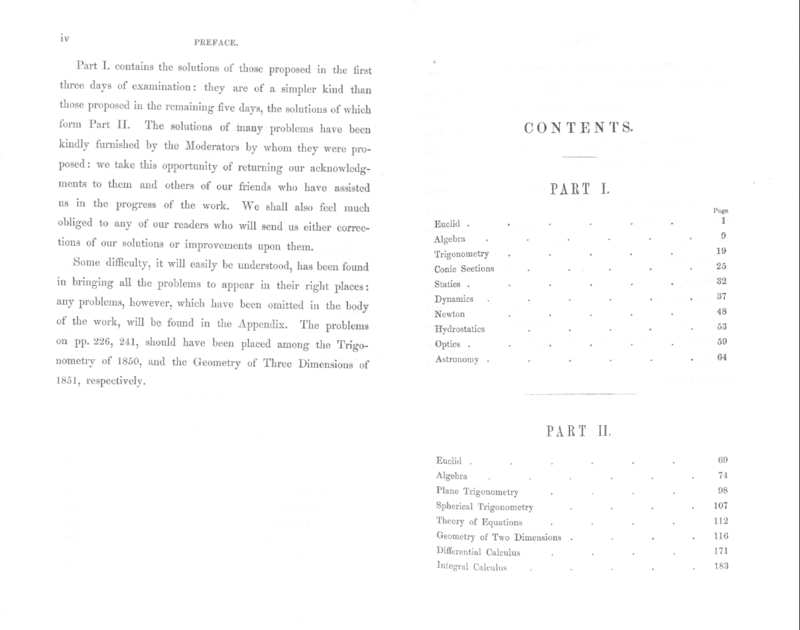 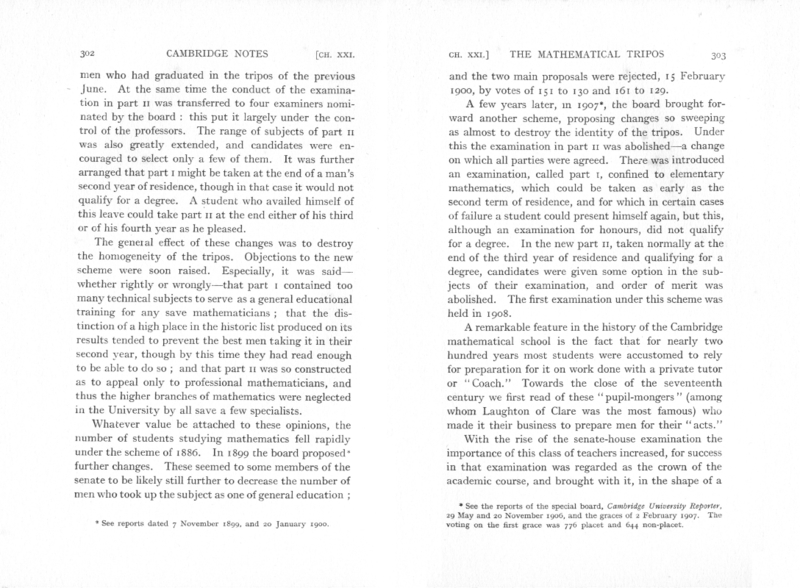 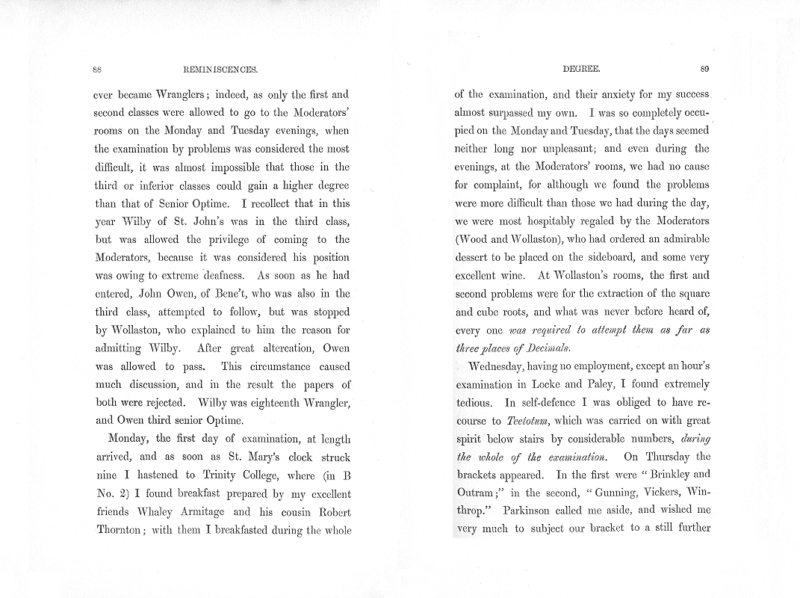 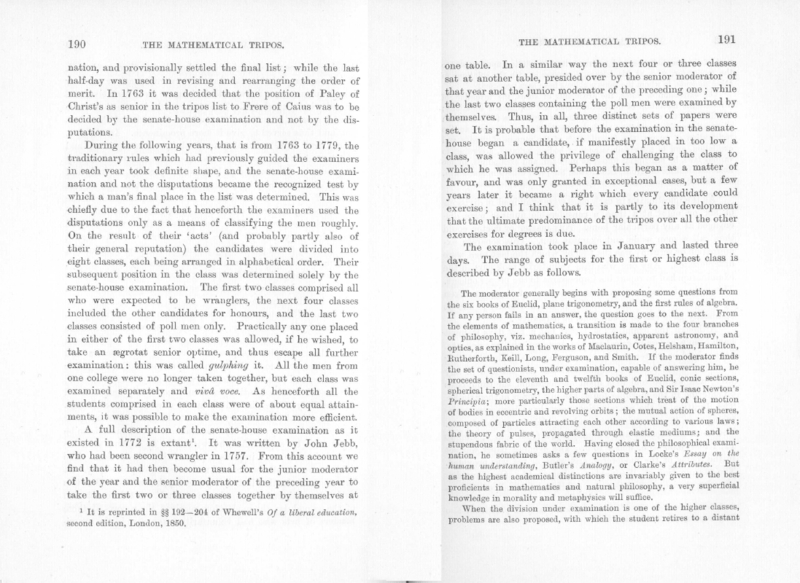 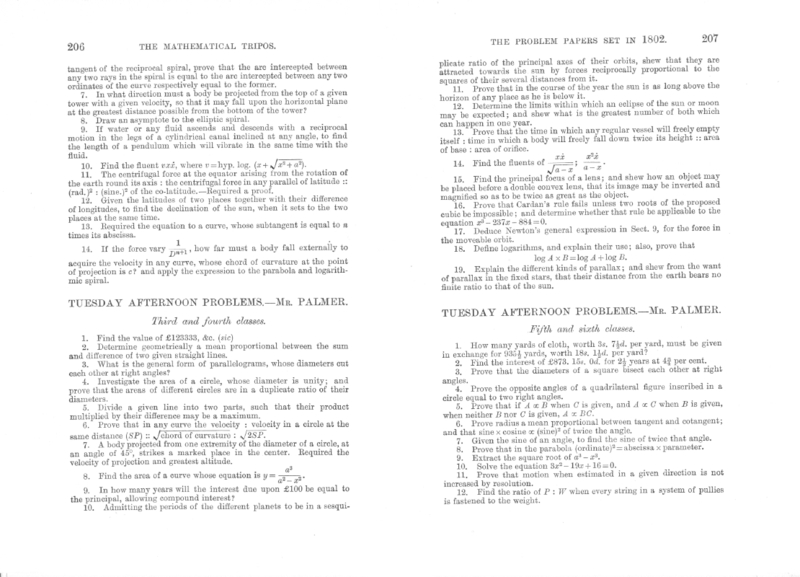 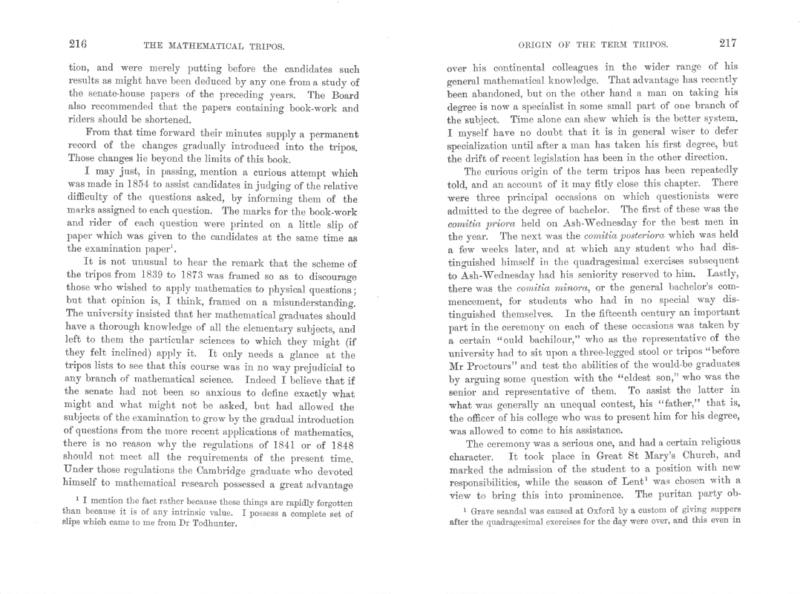 This collection of selected Tripos problems from the years 1848-51 is unusual in that it consists mainly of solutions to the problems rather than just a compendium of past papers. 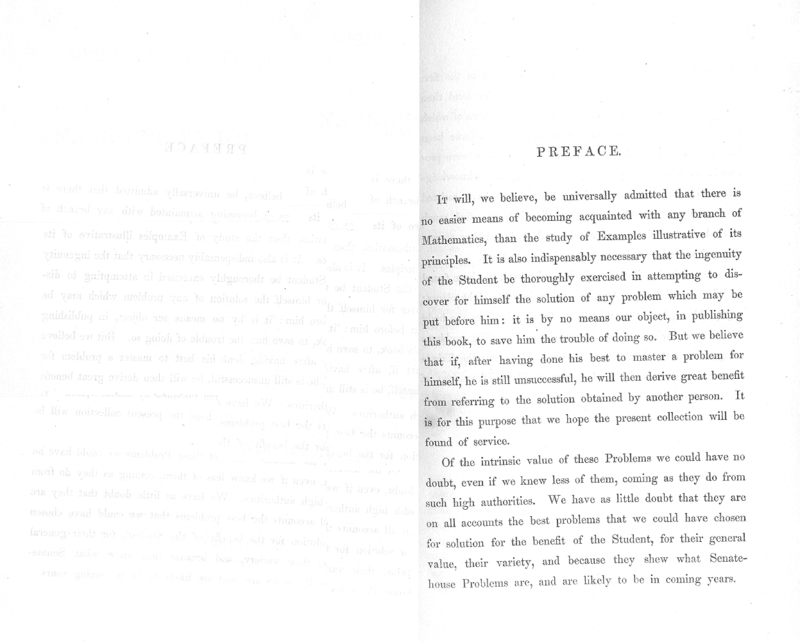 has left even fewer traces. 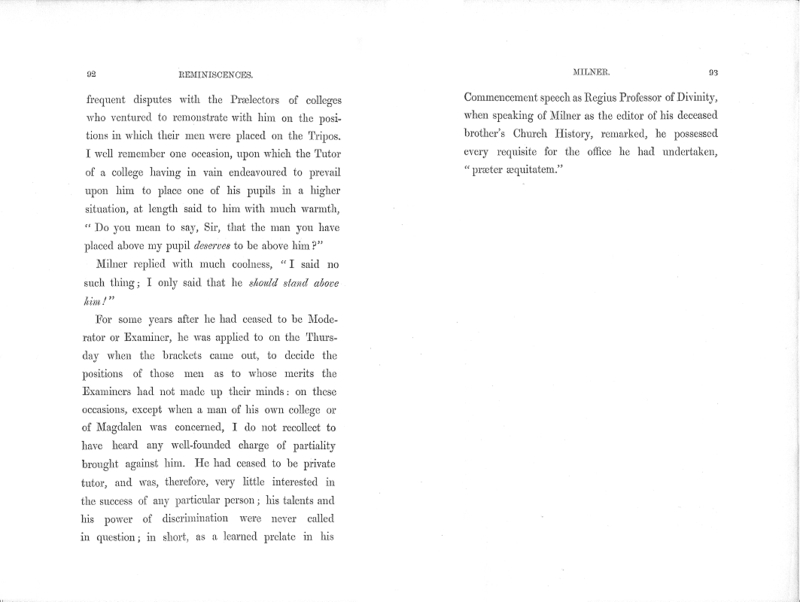 He became a missionary in Africa. 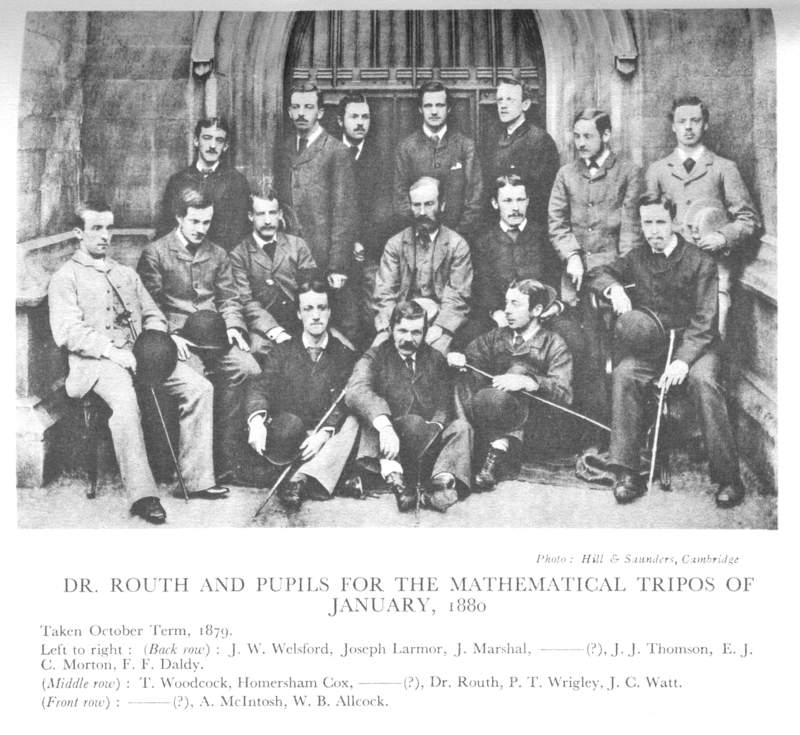 Routh, arguably the greatest of the Victorian Tripos Coaches. 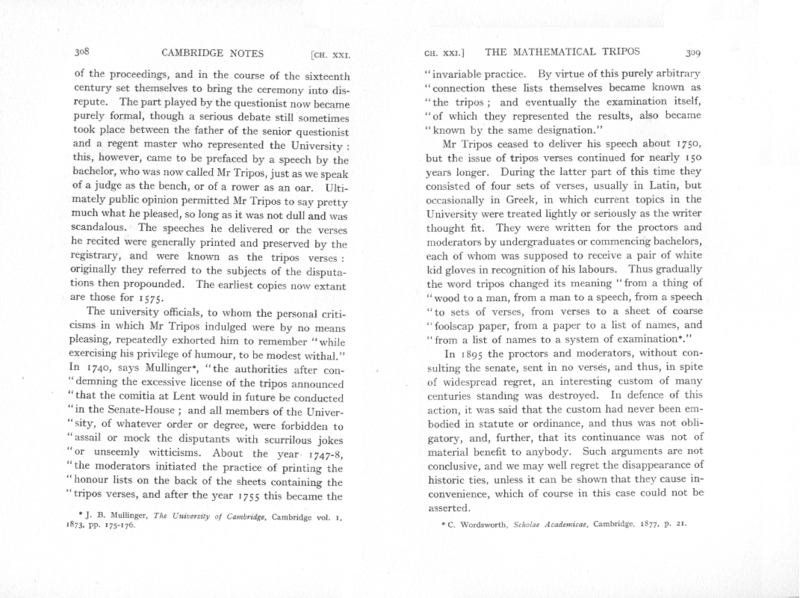 water mark of the Old Tripos in terms of sheer duration.